Bellavista in Italian means "beautiful view". 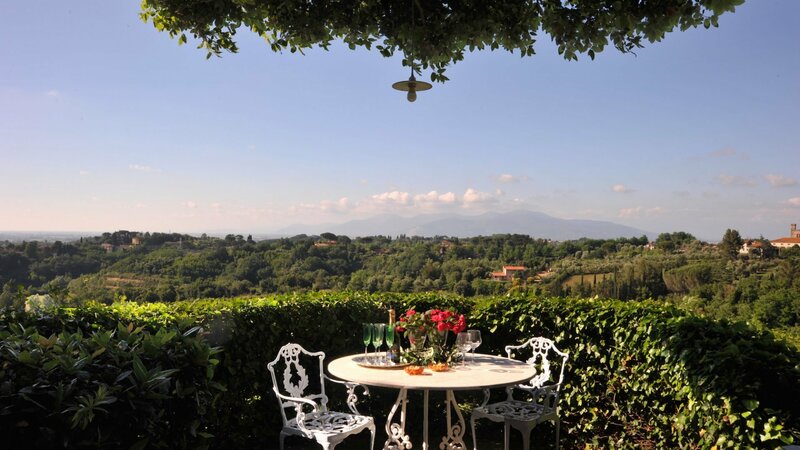 Thanks to its dominating position on a lush hill, it is indeed an outstanding 360-degree view that this antique villa dating back to the early 1900s offers to its guests. 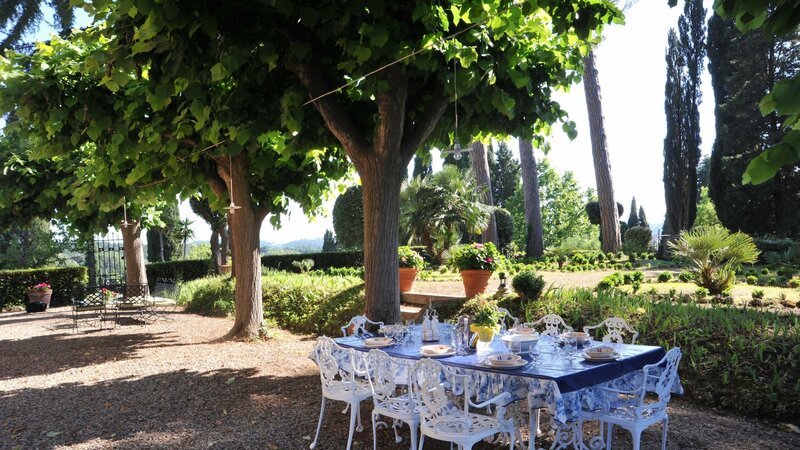 An ancient cypress tree-lined road leads to the villa gate surrounded by a marvellous wooded park. 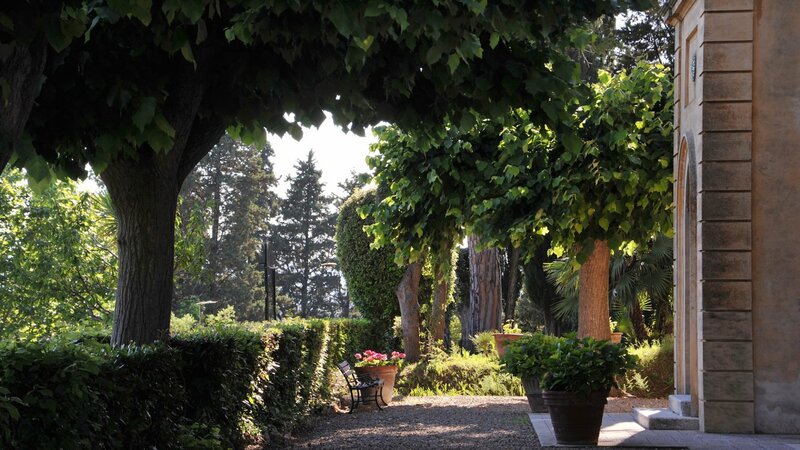 The side facing the entrance is embellished by an Italian wonderfully manicured garden and a circular area conceived in the past in order to enjoy stunning views of the countryside; when the sky is clear it is even possible to see the city of Pisa and the Tyrrhenian sea. On the other side of the house there is a private swimming pool completely fenced in with a gate, which is ideal for families with small children. The pool area is delightfully adorned by terracotta pots abundant with colorful flowers. 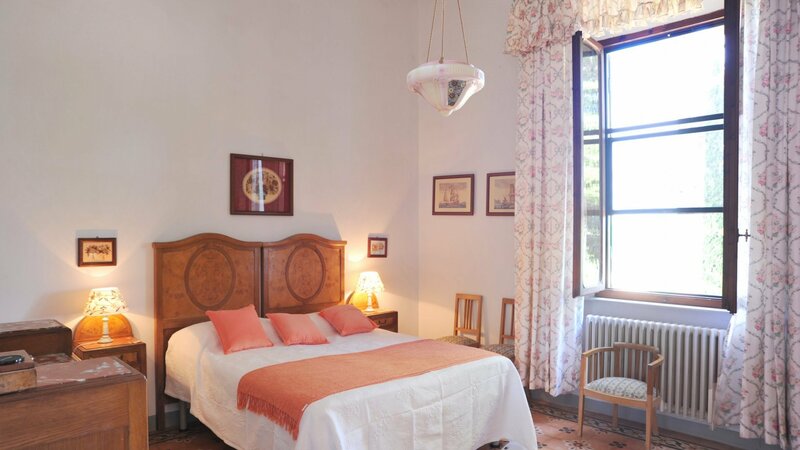 The villa features spacious living areas with high ceilings and tiles decorated with floral patterns typical of the style of the past. These characteristics give charm to the house and forgive the austere and rather simple taste with which it is furnished. Ideally positioned, from the villa it is possible to reach the nearest village with a 5-minute walk, however a more pleasant and better organized town is the nearby village of Lari located on a 10-minute drive. 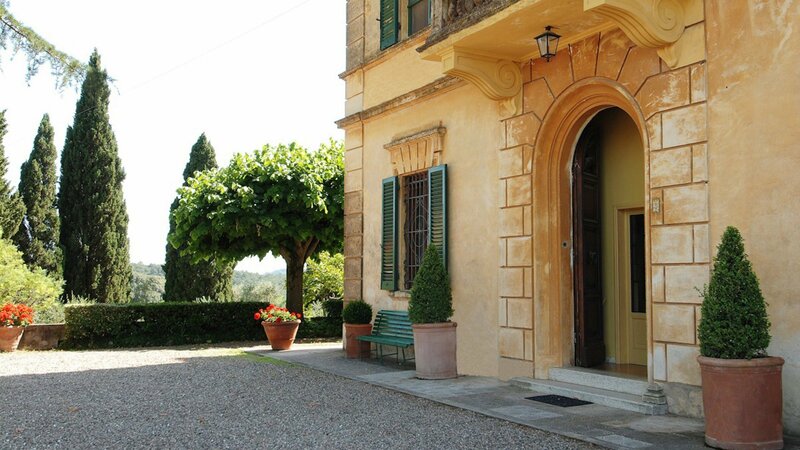 Lari also features a castle dominating the lovely Tuscan landscape. 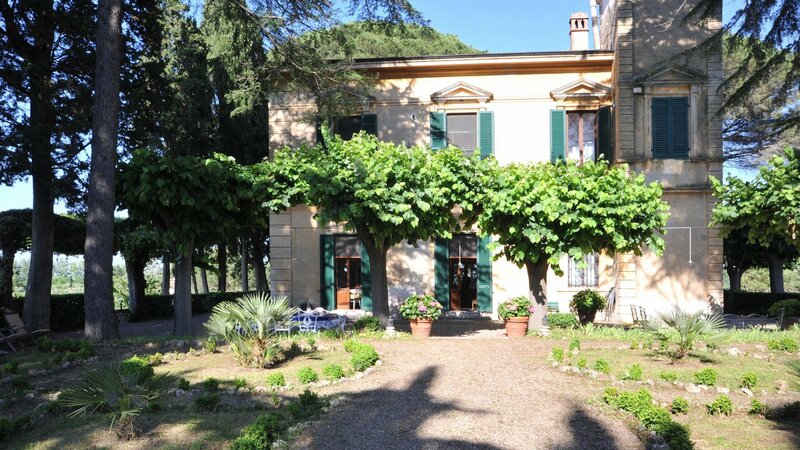 Another advantage of the villa is the proximity to the airport of Pisa, 31km/19miles. 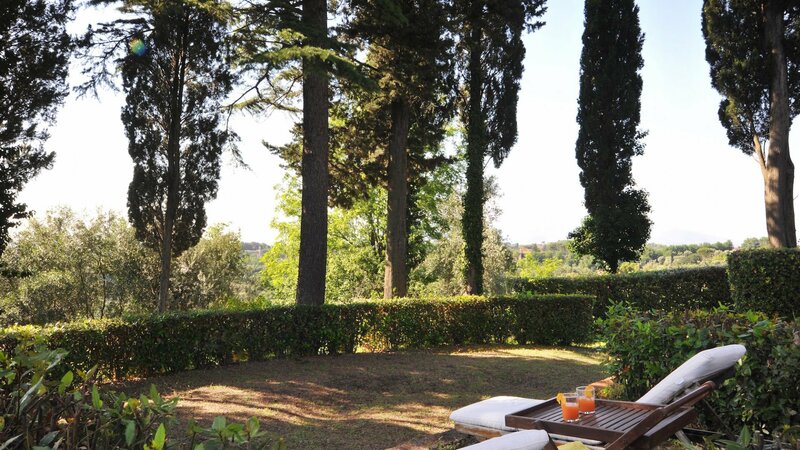 The cities of Florence, Siena and Lucca are also easily accessible from the property. 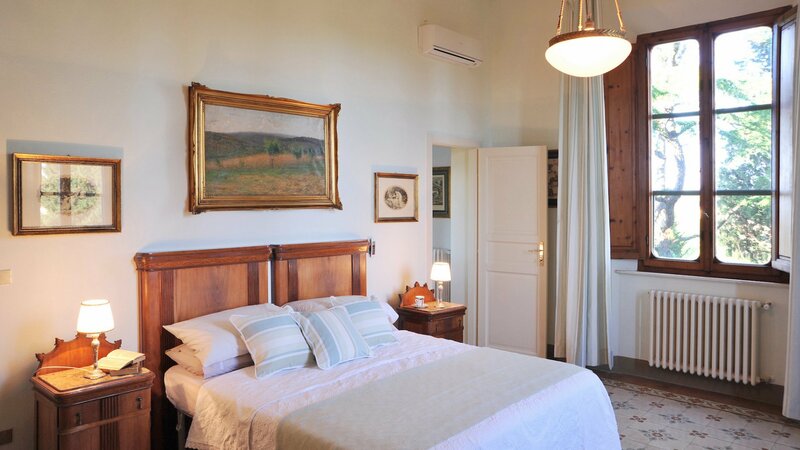 Moreover, Bellavista lies at a short distance from the sea, the nearest seaside resort town Marina di Pisa being at only 46km/28miles from the villa. 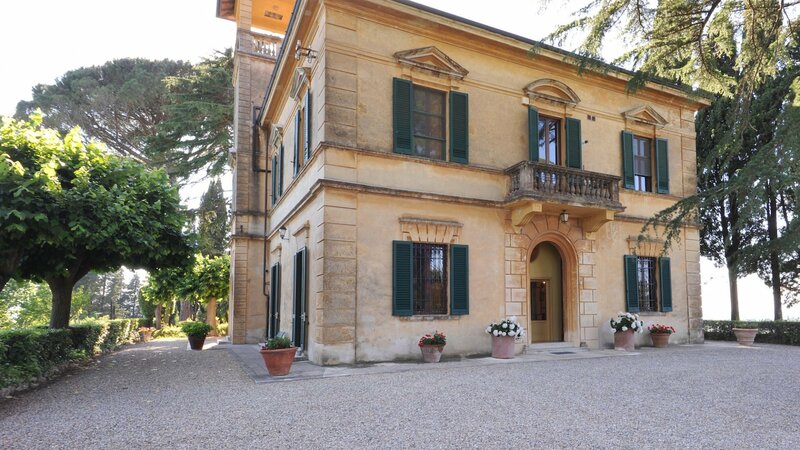 large entrance hall, spacious living room with flat screen TV and fireplace, dining area with table for 10 people, billiard room, kitchen with table for 4 people, guest bathroom and laundry room with washing machine and access to the tower with 360° view (steep and many steps). 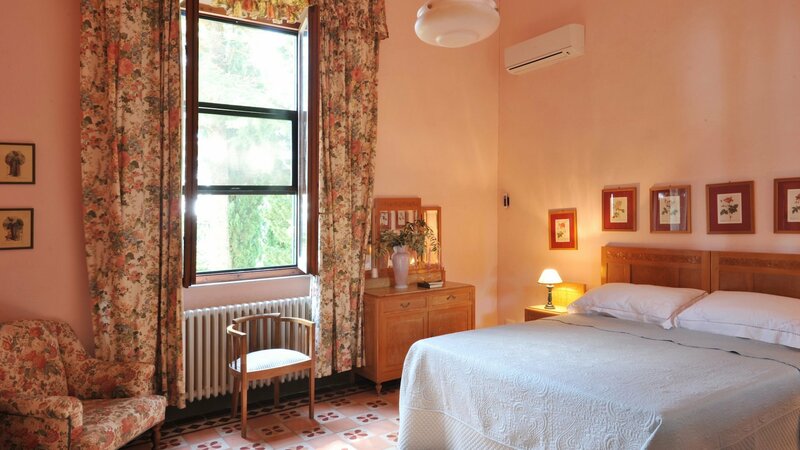 bedroom 1: double bedroom (not convertible into a twin, bed size 170x195cm) with air-conditioning and en suite bathroom with shower (extra hand held shower). bedroom 2: double bedroom (not convertible into a twin, bed size 170x195cm) with air-conditioning and en suite bathroom with shower (only hand held shower). Bedroom 2 can be connected to bedroom 1.
bedroom 3: twin bedroom (bed size 85x195cm, convertible into a double) with air-conditioning and en suite bathroom with shower (extra hand held shower). 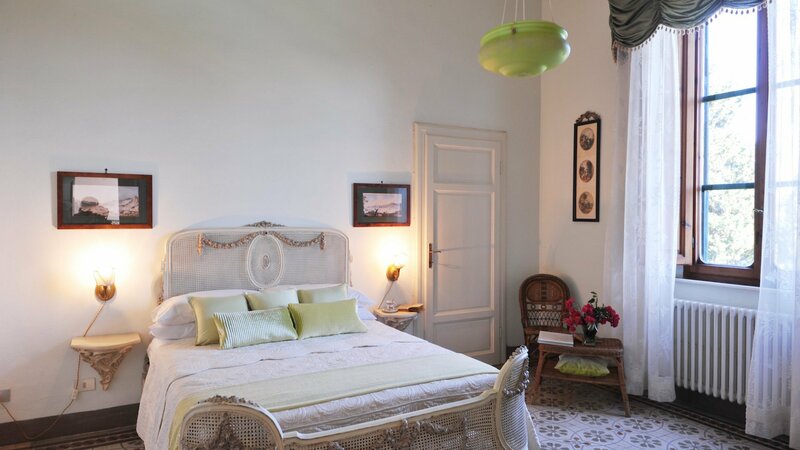 bedroom 4: twin bedroom (bed size 85x195cm, convertible into a double) with air-conditioning. 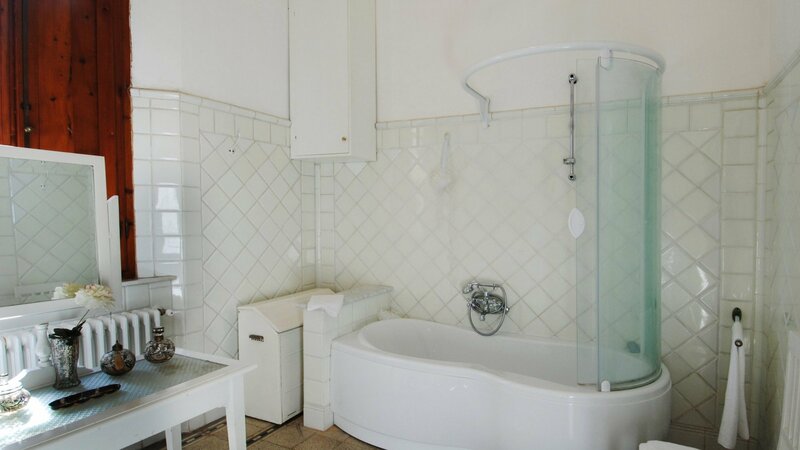 1 bathroom with bath tub and shower inside the tub (extra hand held shower). 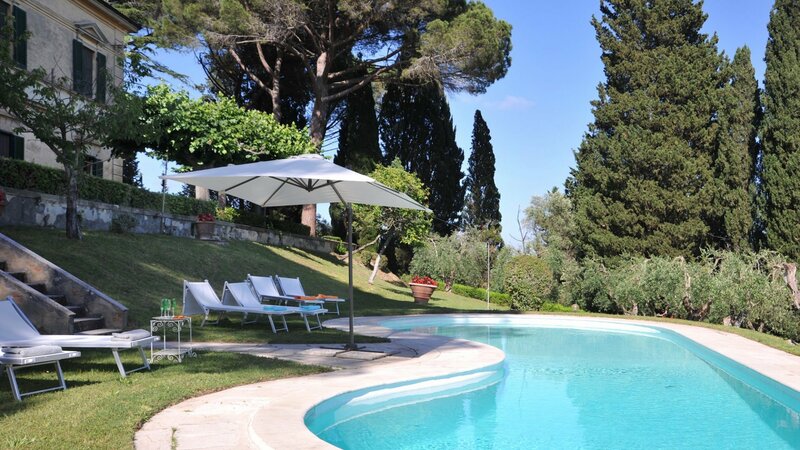 private fenced in swimming pool, outdoor shower, two outdoor dining area with marble table and chairs for al fresco dining. restaurant 1km/0,6miles, food shops 1,5km/1mile, horse riding 500mts/0,3miles, tennis court 1km/0,6mile, supermarket 6km/3,5miles, Casciana Terme - thermal spa 5km/3miles. pets permitted, fenced in swimming pool. 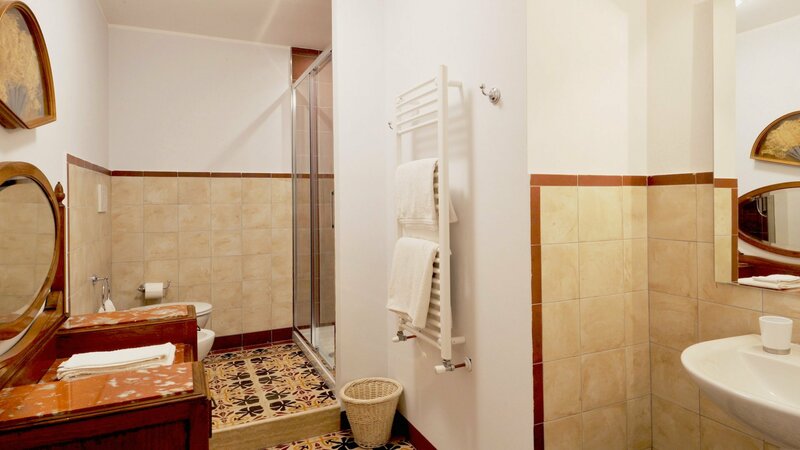 In case if needed, there is a small guest house available (cost upon request) for additonal 2 people; note the guest house has a more simple and standard style than the main villa. 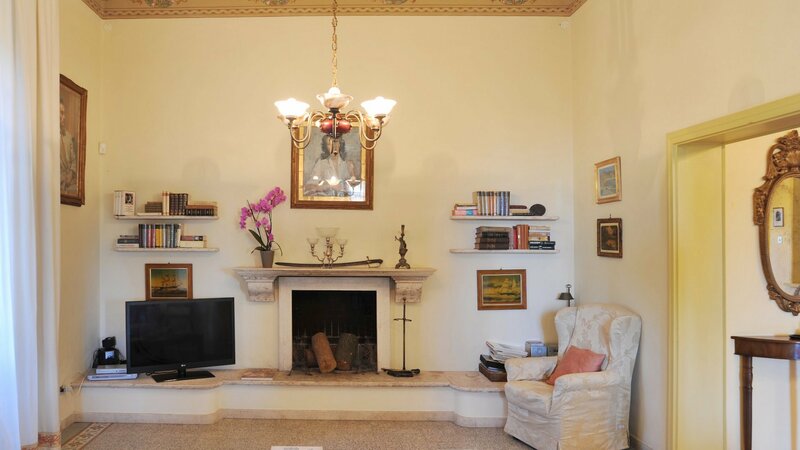 There is another apartment situated on walking distance from the villa, on a lower level of the garden which is occupied only one day of the week, complete privacy guaranteed though. Concierge service, change of linen on Saturday, change of towels on Saturday and midweek, final cleaning on Saturday. 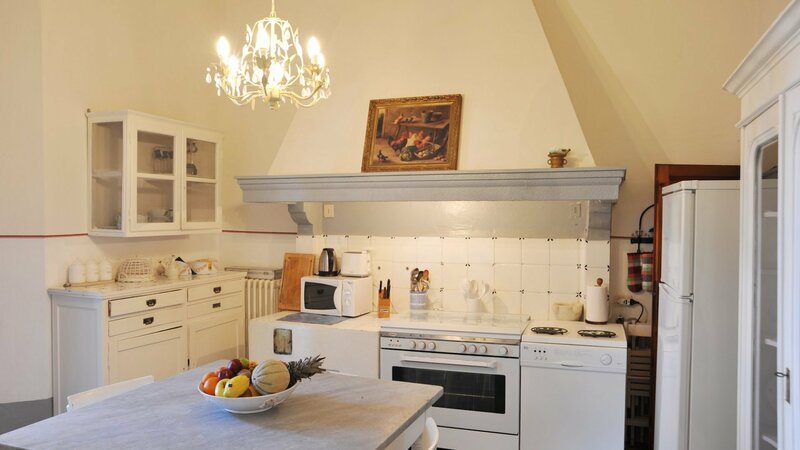 heating GPL EUR 3,60 per m3, cooking service EUR 10 per hour (plus cost of the food), maid service EUR 10 per hour, babysitter service EUR 10 per hour, air conditioning EUR 100 per week. Crespina 1,5km/1miles, Pisa 31km/19miles, Lucca 64km/40miles, Volterra 48km/30miles, Florence 75km/47miles, Siena 123km/76miles, San Gimignano 70km/43miles, Marina di Pisa beach 46km/28miles, Cortona 186km/115miles. airports: Pisa 31km/19miles, Florence 75km/47miles, Rome 320km/198miles. 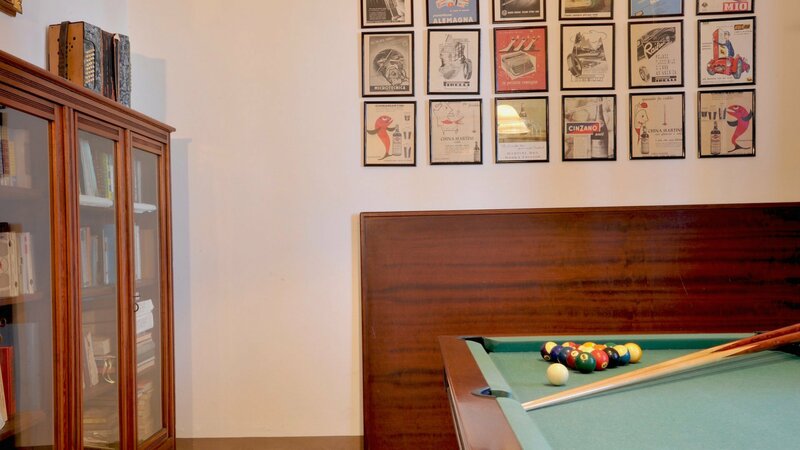 "Villa was as described and worked out very well for our needs." 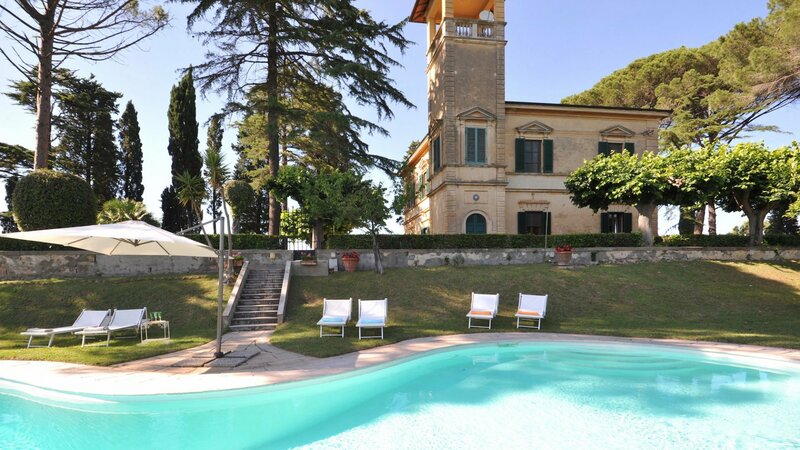 "The villa was amazing. We had a wonderful time. Your support was instrumental in coordinating the trip, Mr. Tossi was ever so helpful and the wine tasting at Fanti was so much fun. 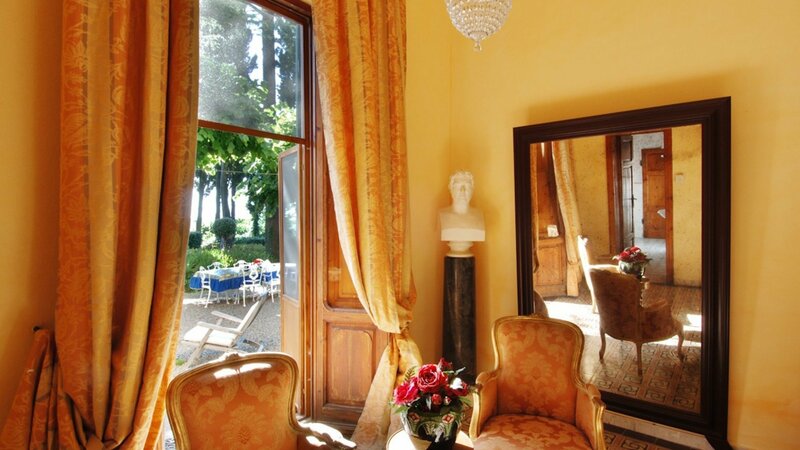 We would certainly highly recommend your organization for anyone traveling to Italy!!!!" “Our group, seven adults, plus a baby, had a wonderful time. 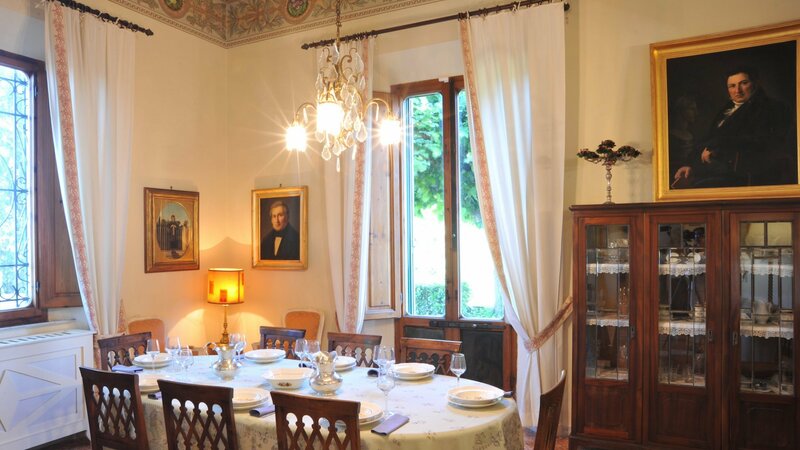 In fact, the villa really exceeded our expectations: 5 large bedrooms on the first floor, large and pleasantly furnished living rooms, library, kitchen on the ground floor. It even has a “watchtower”(!) and, of course, the large pool (non-swimmers: it is quite deep at the far end). 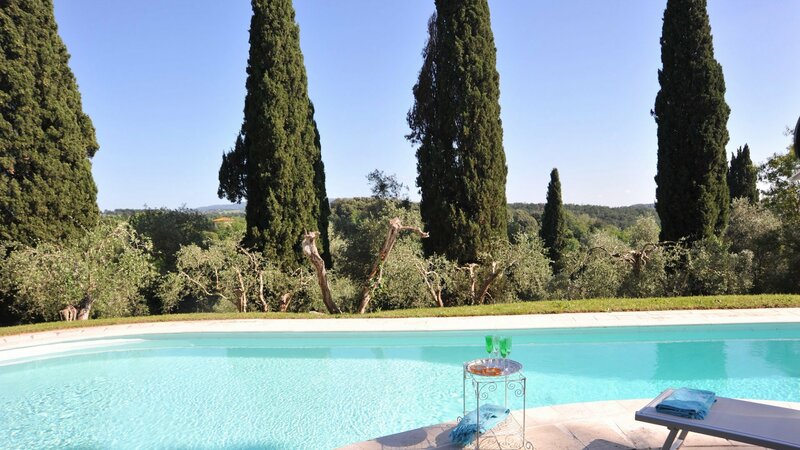 The views all around the villa are spectacular – what more could you want. 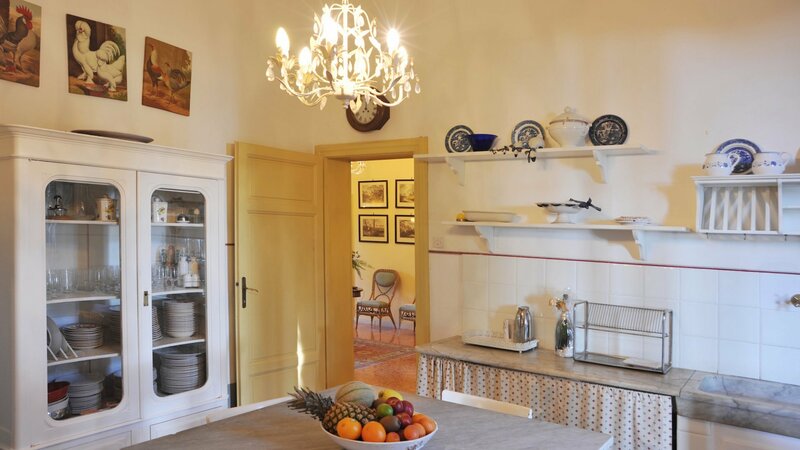 We had local cooking service on the day of arrival (very good Italian food), and a professional cook, plus assistant, on the second day (absolutely phantastic – and quite reasonable – probably best we had during our stay in Tuscany (and many other areas / countries). And do take advantage of the pre-arrival grocery shopping offer; it saves a lot of time. 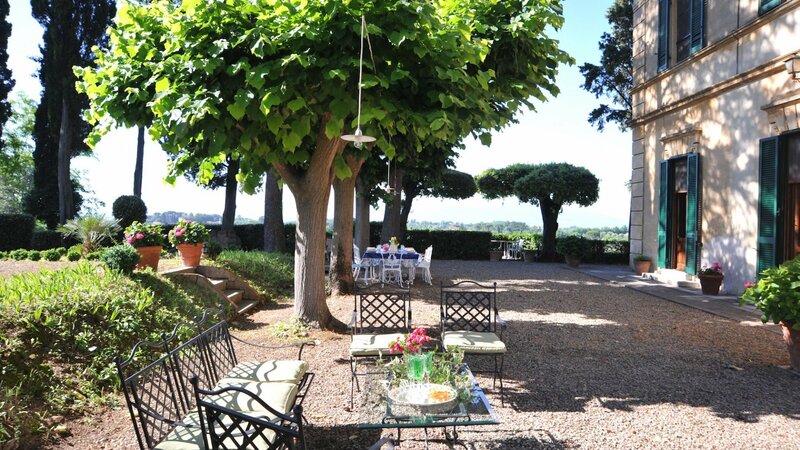 If you are looking for a typical large and very attractive villa in Tuscany, a bit “aged”, but in very good shape (everyhing you need is available and funtions), with very attractive and well maintained extensive surroundings / views, do yourself a favor and reserve a week here, although it does have its price.